You are at:Home»budget»EFV: At what cost to the Corps? With ringing endorsements from the Pentagon’s top leader and Marine Corps Commandant Gen. Jim Amos to kill the program, the Expeditionary Fighting Vehicle’s fate is close to being sealed. But the EFV remains a contentious issue as big defense contractor General Dynamics continues with its push to save the program, with some help from congressional members who say nixing the EFV is akin to killing the Marine Corps itself. So why the change in tune? 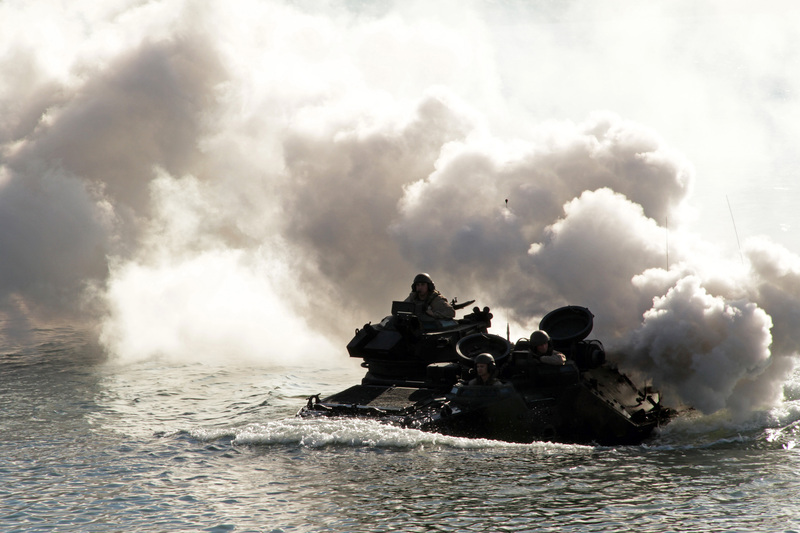 It’s all about money, specifically what getting the EFV would cost in real terms to the Marine Corps, says a senior Department of the Navy official. “The Expeditionary Fighting vehicle is doing pretty well. 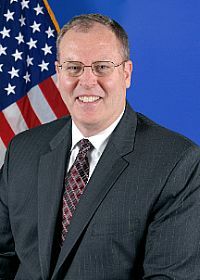 It’s had a very troubled history,” Navy Undersecretary Robert “Bob” Work told a mostly-defense contractor crowd during the West 2011 conference on Jan. 26, noting the $3.3 billion investment in the program so far. But the decision to cancel the EFV is not about its capability, Work insisted, but about the drain on the bank needed to support other requirements, notably ground combat vehicles, if the Marine Corps went forward with the program. From 2018 to 2025, he said, the EFV would consume from the Marine Corps’ budget 100 percent of the average of all ground combat vehicles, 50 percent of all Marine Corps procurement, and 90 percent of historical operations & maintenance dollars for ground combat vehicles. The $2.8 billion saved in canceling the program will help fund ground tactical vehicles. That’s $500 million toward the new amphibious vehicle – he expects the initial solicitation will be made by 2013 – $1 billion to extend the life of the current fleet of AAVs, $400 million to accelerate by three years the initial operating capability of the Marine Personnel Carrier, $200 million to recapitalize Humvees, and $700 million to recap light-armored vehicles and other vehicles. “The EFV is an exquisite, wonderful capability,” he said, but the cost is too high. The smarter thing, he insisted in speaking with reporters, is to focus on funding vehicles that would fill the Corps’ requirement for 12 battalions of lift, which is either a 8-4 or 6-6 split between the next amtrac and wheeled MPC. “It’s going to be decided on the Marine Corps’ own terms. 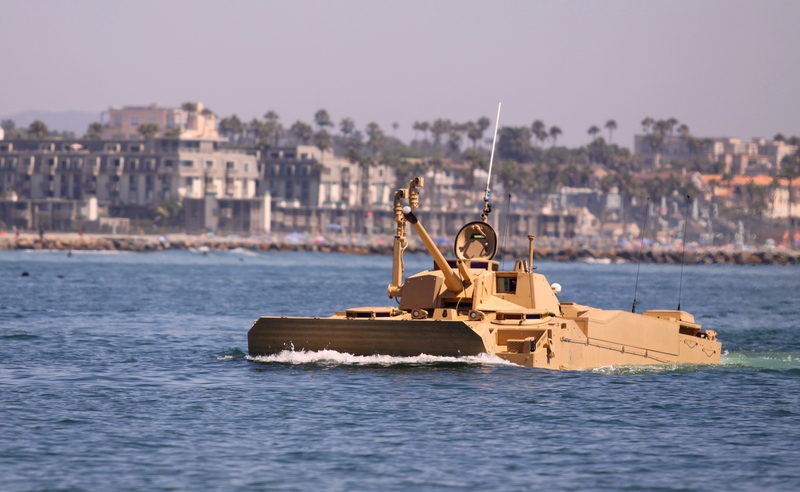 The secretary of defense has said, you’ve convinced me on the need for amphibious assault capability – a two MEB capability – you’ve convinced me that an armored tractor is a good thing to have in the Marine ground mobility portfolio, but you can’t afford to spend on the EFV,” he said. the usmc needs this vehicle (EFV), here we go again 1947 all over again, we need the marine corps the us army can not pick up the slack. Only those have not been in the ranks will never understand how important the marines are to our countrys defense.